Interesting option to devote some time swimming in Venlo. Is it not your first time here? Tell us how it went using the Facebook comments below or contacting us directly! 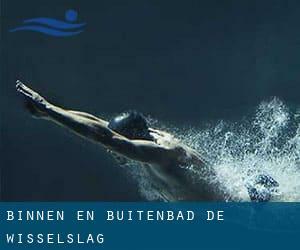 Binnen- en buitenbad De Wisselslag is only one of all the swimming pools Swimia is offering you, and its facts has been shared with us by a swimmer like you.Keep in mind you can now promote Binnen- en buitenbad De Wisselslag by sharing this page with your friends, adding comments and linking to us. This sports center gives 25 meters, Indoors. Contact information for this Swimming Pool like phone number and email address are number. Updated on 2019 Geurtsvenweg 1 , Weert , NETHERLANDS (Postal Code: 6006 SN). This sports center gives 25 meters x 15 meters, Indoors. Contact information for this Pool just like phone number and e-mail address are number. Updated on 2019 Ankersweg 52 , Buchten , NETHERLANDS (Postal Code: 6122 ET). Among all the activities offered by the center, for anybody who is interested in swimming you will appreciate 25 meters, Indoors. If you should contact this Swimming Pool, e-mail address and phone number are both number. Updated on 2019 Randweg 21 , Vaals , NETHERLANDS (Postal Code: 6291 DC). Swimmers like you reported 25 meters x 10 meters, Indoors. Phone number and e-mail address are number for this Pool. Updated on 2019 Sportcentrumlaan 9 , Sittard , NETHERLANDS (Postal Code: 6136 KX). This sports center offers 25 meters, 6 lanes, Indoors. Contact information for this Swimming Pool for instance phone number and email address are number. Updated on 2019 Wilhelminastraat 42 , Panningen , NETHERLANDS (Postal Code: 5981 XW). Swimmers like you reported 25 meters, Indoors. Phone number and e-mail address are number for this Swimming Pool. Updated on 2019 De Haamen 1 , Beek , NETHERLANDS (Postal Code: 6191 HV). Swimmers like you reported 25 meters, 4 lanes, Indoors. Phone number and e-mail address are number for this Swimming Pool. Updated on 2019 Roggelseweg 50 , Haelen , NETHERLANDS (Postal Code: 6081 NP). Swimmers like you reported 25 meters, 5 lanes, Indoors. Phone number and e-mail address are number for this Swimming Pool. Updated on 2019 Dousbergweg 10 , De Dousberg , Maastricht , NETHERLANDS (Postal Code: 6216 GC). Among all the activities offered by the center, if you are keen on swimming you can expect to enjoy 25 meters, 6 lanes, Indoors. If you need to contact this Swimming Pool, email address and phone number are both number. Updated on 2019 Bandertlaan 7 , Echt , NETHERLANDS (Postal Code: 6101 LZ). Among all the activities provided by the center, if you are interested in swimming you will enjoy 25 meters, 5 lanes, Indoors. Just in case you want to contact this Swimming Pool before dropping by, we only know the phone number. Updated on 2019 Landsraderweg 11 , Gulpen , NETHERLANDS (Postal Code: 6271 NT). Among all the activities offered by the center, if you are interested in swimming you will take pleasure in 25 meters, Indoors. If you need to contact this Swimming Pool, email address and phone number are both number. Updated on 2019 Putgang 8 , Kerkrade , NETHERLANDS (Postal Code: 6461 EK). This sports center gives Olympic size, Indoors. Contact information for this Swimming Pool like phone number and email address are number. Updated on 2019 Kempweg 70 , Venray , NETHERLANDS (Postal Code: 5801 VV). Among all the activities offered by the center, if you're interested in swimming you will enjoy 25 meters, Indoors. If you will need to contact this Pool, email address and phone number are both number. Updated on 2019 Plenkertstraat 50 , Valkenburg aan de Geul , NETHERLANDS (Postal Code: 6301 GM). Among all the activities offered by the center, for anyone who is thinking about swimming you will enjoy 25 meters x 15 meters, 6 lanes, Indoors. If you have to contact this Swimming Pool, email address and phone number are both number. Updated on 2019 Emmastraat 3 , Landgraaf , NETHERLANDS (Postal Code: 6373 HM). This sports center offers 25 meters, Indoors. Contact knowledge for this Swimming Pool such as phone number and email address are number. Updated on 2019 Laan in den Drink 8 , Maastricht , NETHERLANDS (Postal Code: 6226 HG). Among all the activities offered by the center, if you are thinking about swimming you will enjoy 25 meters x 14 meters, 4 lanes, 1.4 meters - 2.4 meters depth, 1.4 meters - 2.4 meters depth, Indoors. If it is advisable to contact this Swimming Pool, e-mail address and phone number are both number.